A magnificent six bedroom, vastly extended detached family home set on the corner of Woodleigh Road and Birmingham Road, making this an ideal commuter distance to Birmingham City centre and Wylde Green centre with its array of shops and restaurants as well as Wylde Green railway station. The property briefly comprises a reception hall, downstairs guest W.C./Shower room, large lounge leading through to a sitting room/study, fitted kitchen and separate dining room whilst on the first floor there are six bedrooms one with an attractive en-suite shower room, a separate bathroom and outside there is a double garage and gardens. To fully appreciate the location, size and accommodation on offer an early viewing is strongly recommended. Occupying a most prominent and pleasant corner position, giving an aspect over both Woodleigh Road and Birmingham Road, the property boasts two lawned foregardens, rockery flower borders, mature tree, pebbled driveway leading to the double garage and two gated accesses leading to the rear garden on both sides of the property. 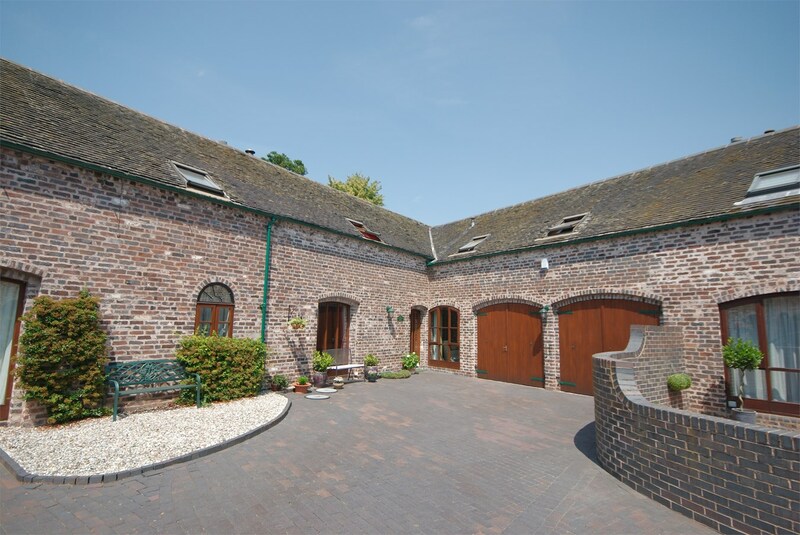 Accessed via double glazed double doors leading into a most spacious Reception Hall. Having an easy tread staircase leading to the first floor, radiator, ceiling light point and doors to further accommodation. Having matching suite comprising of a low flush W.C., wash hand basin, walk-in shower cubicle, tiling from floor to ceiling, radiator and ceiling light point. 16' 4" x 9' 10" (4.98m x 3.00m) having UPVC double glazed bow window, coving to ceiling, radiator and two ceiling light points. An open staircase rises from the reception hall to the First Floor Landing with airing cupboard housing the hot water boiler, loft access hatch and doors to further accommodation. 19' 2" x 10' 10" (5.84m x 3.30m) having UPVC double glazed windows to front and rear aspects, coving to ceiling, two ceiling light points and radiator. having a matching suite comprising of a vanity wash hand basin with storage cupboards beneath, low flush W.C., door into walk-in double shower cubicle, obscure UPVC double glazed window and ceiling light point. 12' 7" x 8' 2" (3.84m x 2.49m) having two UPVC double glazed windows to rear aspect, coving to ceiling, ceiling light point and radiator. 12' 3" x 7' 3" (3.73m x 2.21m) having UPVC double glazed windows to front and rear aspects, access hatch to roof void, ceiling light point and obscure glazed panel looking into the stairs. 11' 4" x 7' 1" (3.45m x 2.16m) having UPVC double glazed window to front aspect, radiator and ceiling light point. 8' 4" x 6' 5" (2.54m x 1.96m) having double glazed window to rear aspect, radiator and ceiling light point. having matching suite comprising of a pedestal wash hand basin, low flush W.C., panelled bath with shower over and glazed shower screen door, UPVC double glazed obscure window, tiling from floor to ceiling and ceiling light point. 20' 0" x 16' 6" (6.10m x 5.03m) with two up-and-over doors leading out to the front drive, double glazed windows to rear and side and obscure double glazed door leading out to the rear garden. having a paved patio area extending to the two paths and gates to the front. Steps leading up to lawned area with flower borders, garden pond and outside water tap.